WWE's Raw 25th anniversary episode will take place in two venues, including Manhattan Center – AiPT! WWE Monday Night Raw is returning to the Manhattan Center for the first time in two decades. 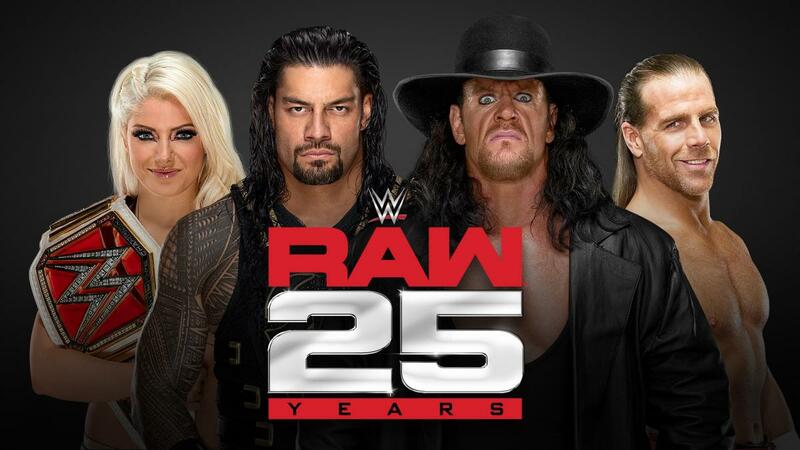 WWE is going all out celebrating the 25th anniversary of Monday Night Raw, which will take place January 22, 2018. The company confirmed today that predictably, multiple legends will make an appearance on the show. So far, three legends have been announced: The Undertaker, Shawn Michaels, and Kevin Nash. All three were pivotal to Raw‘s early years, and the former two appeared on the first-ever episode of Monday Night Raw, on January 11, 1993. The majority of Raw’s early episodes took place in the Manhattan Center. In addition to legends appearing, WWE announced that Raw will emanate not only from the Barclays Center in Brooklyn, but the Manhattan Center in New York City. The Manhattan Center was Raw‘s unofficial home in the early 90s, with many episodes taking place in the historic venue. It should be a great blast of nostalgia to see WWE matches taking place in the intimate venue once again. The episode is also being branded as a Supershow, with Superstars from both Raw and SmackDown Live expected to appear on the show. This episode will also serve as Raw‘s go-home show before the Royal Rumble, making it a very important episode overall. Tickets for the 25th anniversary episode of Raw go on sale this Friday.